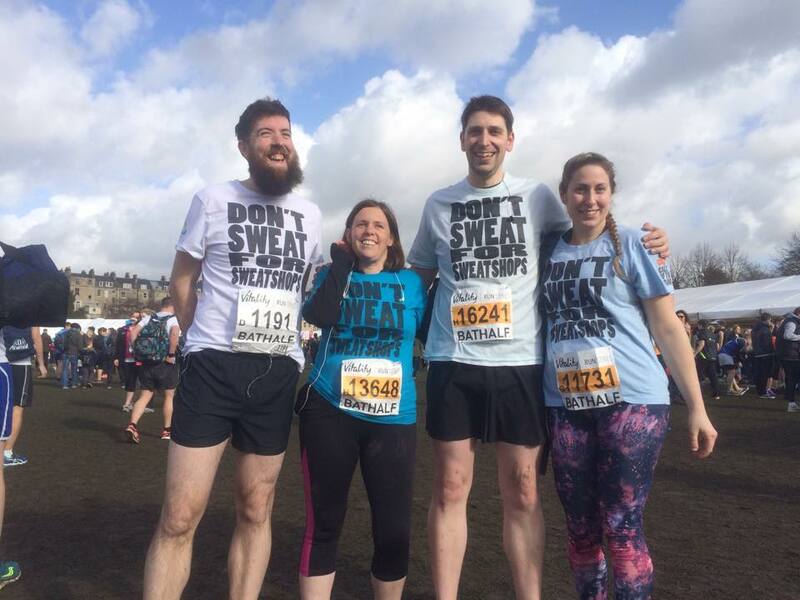 Join us at the iconic Bath Half Marathon in 2019 and help us raise awareness and funds for garment workers. The Bath Half Marathon is one of the most established and popular city centre road events in the UK. It sells out quickly with 15,000 entries. We are very pleased to have charity places available for this popular road race and we invite you to be a part of our team. By running this race for Labour Behind the Label you are raising our profile in the UK as well as helping to raise the money we need to continue our charitable work. Thank you for supporting us, your efforts will make a real difference. To register for 2019’s Bath Half Marathon please sign up using the form below. We ask for a minimum sponsorship of £250 to be raised one month after the event has taken place. Once you have registered your place either directly with the Bath Half Marathon organisers or through Labour Behind the Label, we suggest immediately setting up your online fundraising page. To make fundraising for us even easier, we’ve partnered with Everyday Hero to give you the ability to create your own online fundraising page. In just minutes you can build and customise your page, then start sharing the link with your friends, family and colleagues and asking them to make a donation. Every donation is then recorded on your fundraising page along with a message of support from your donors.